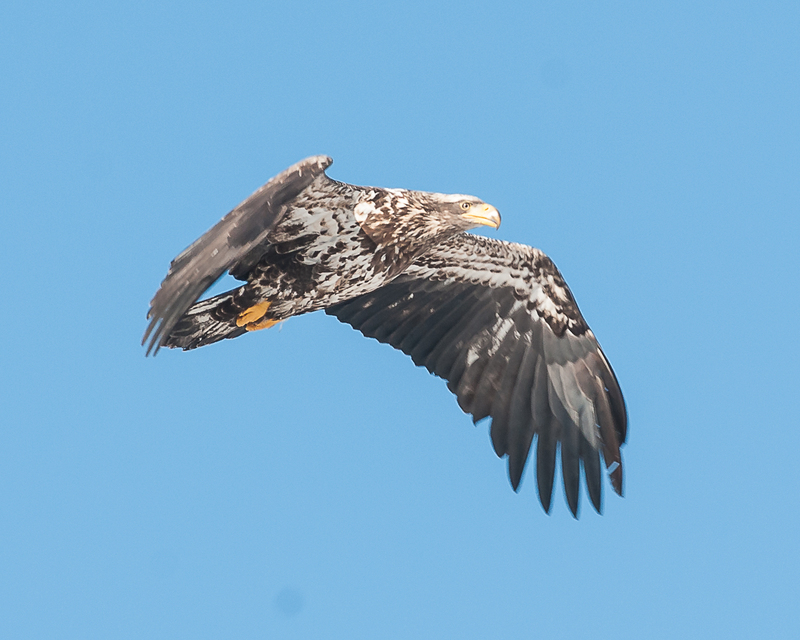 It is the most thrilling experience in the world to show a child a wild eagle. 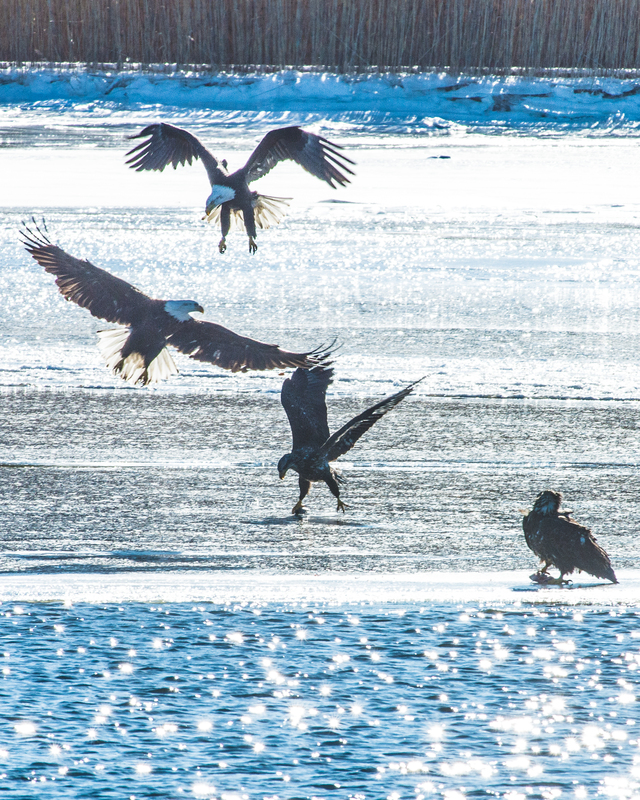 Teatown Lake Reservation and Ossining UFSD have teamed up for seven years so kids can see one five minutes from where they live. 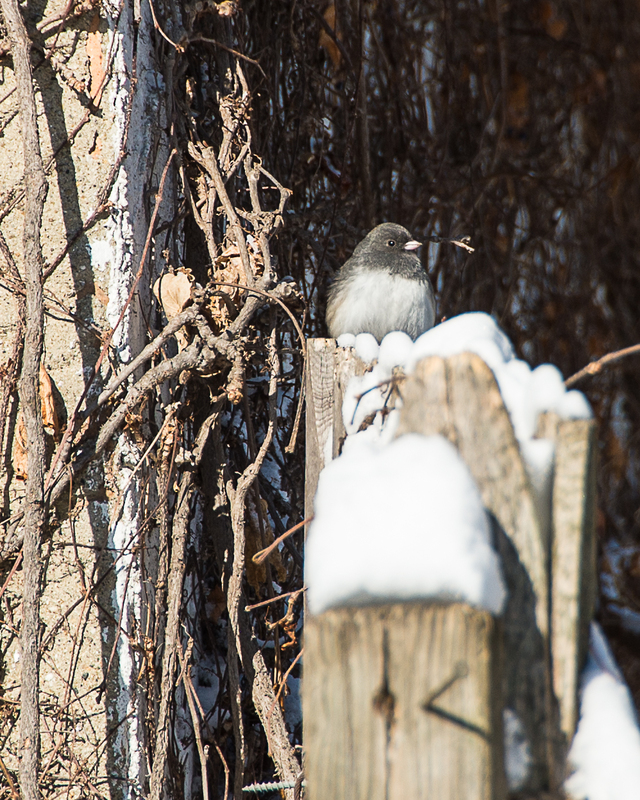 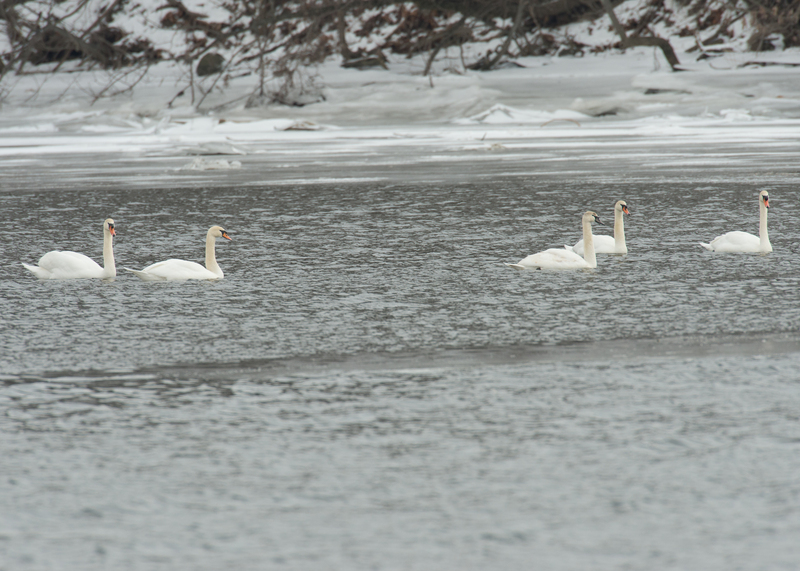 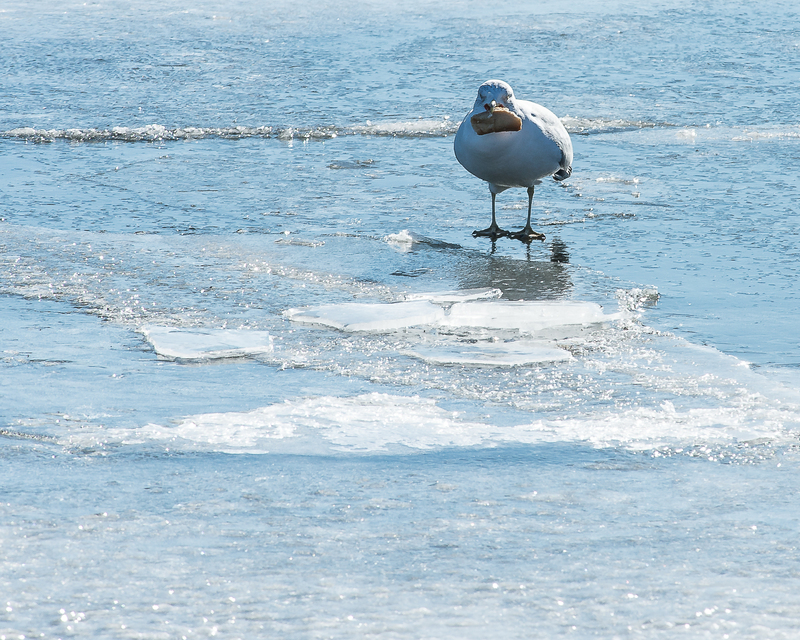 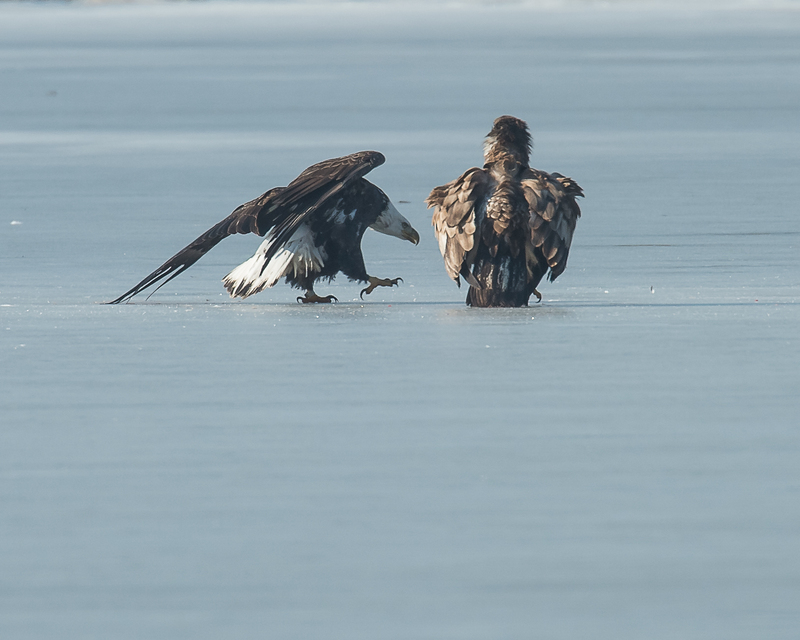 I laughed and laughed as these two tried to make it out of a frozen area into open water. 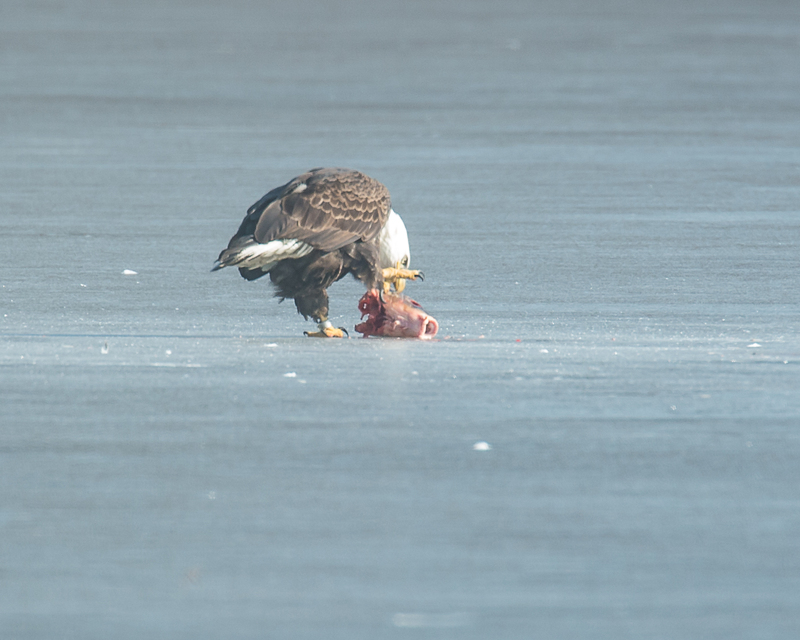 I felt bad about that. 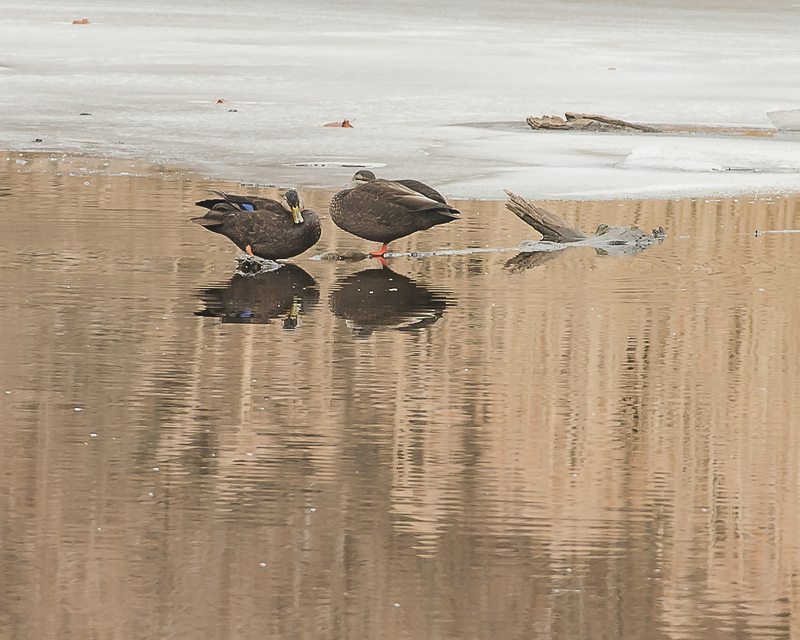 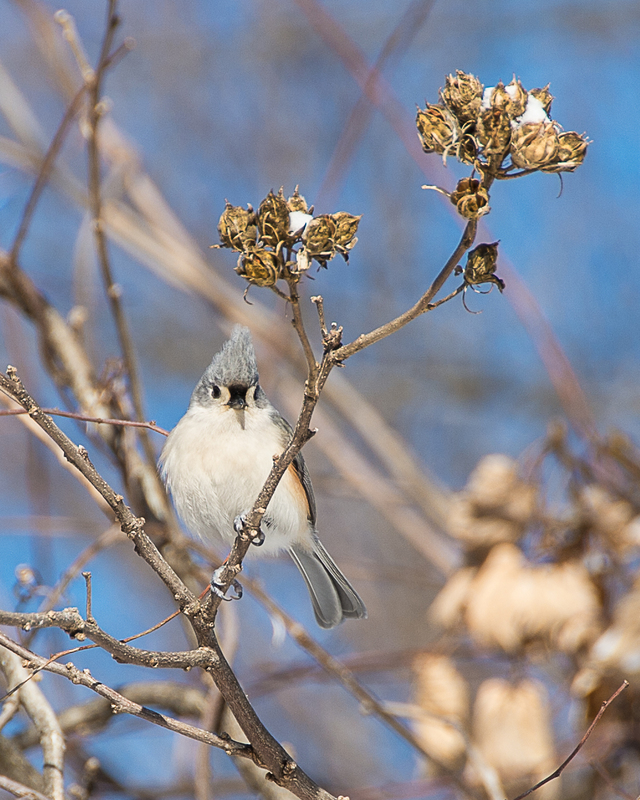 They did join a group of ruddy ducks in a more open area. 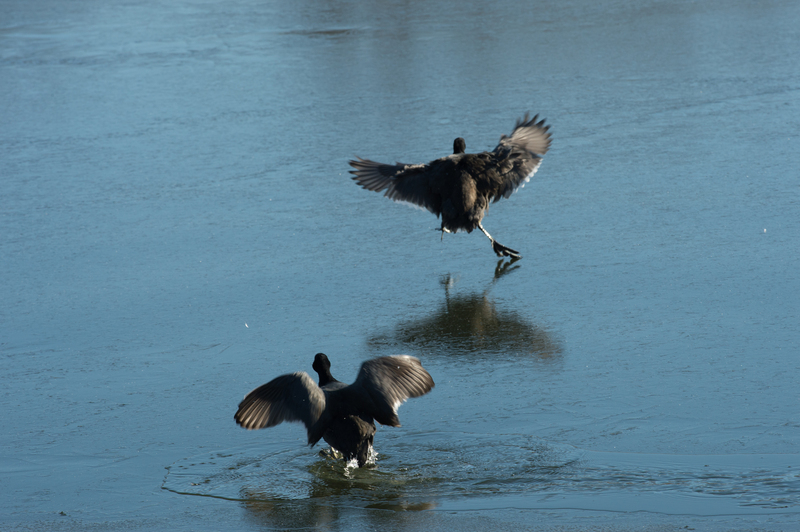 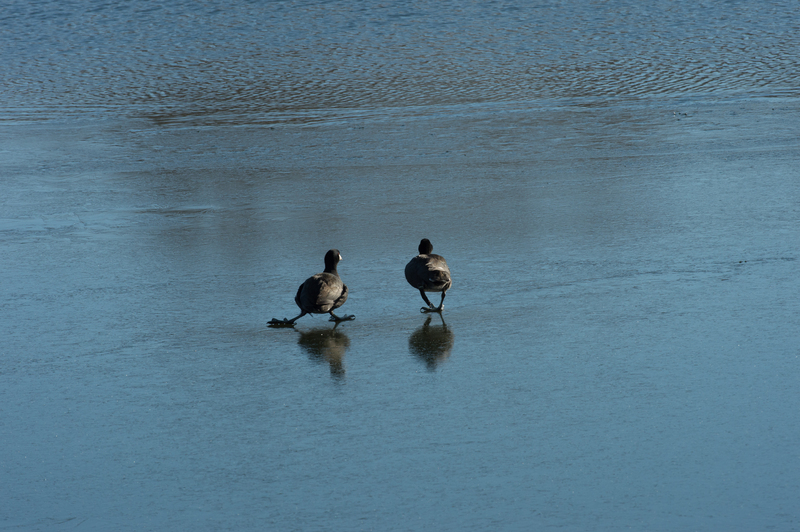 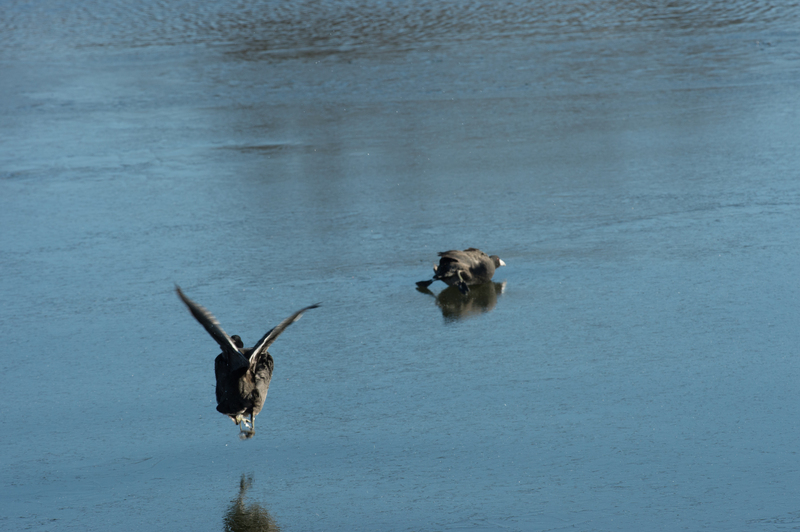 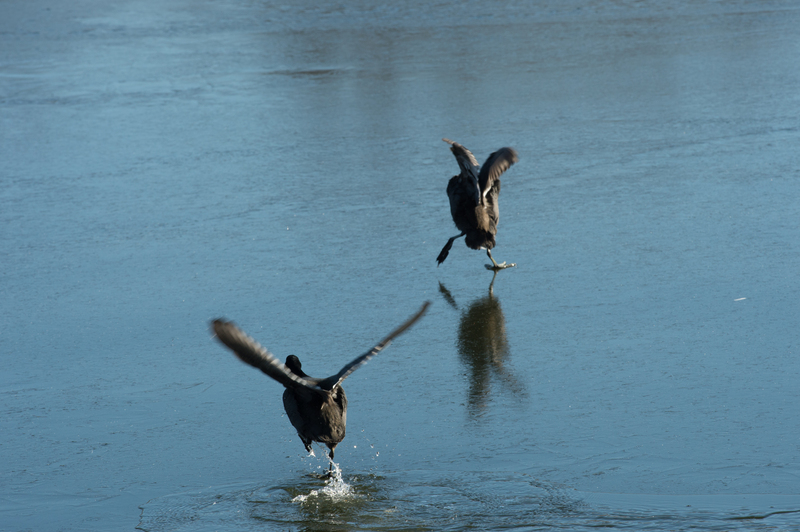 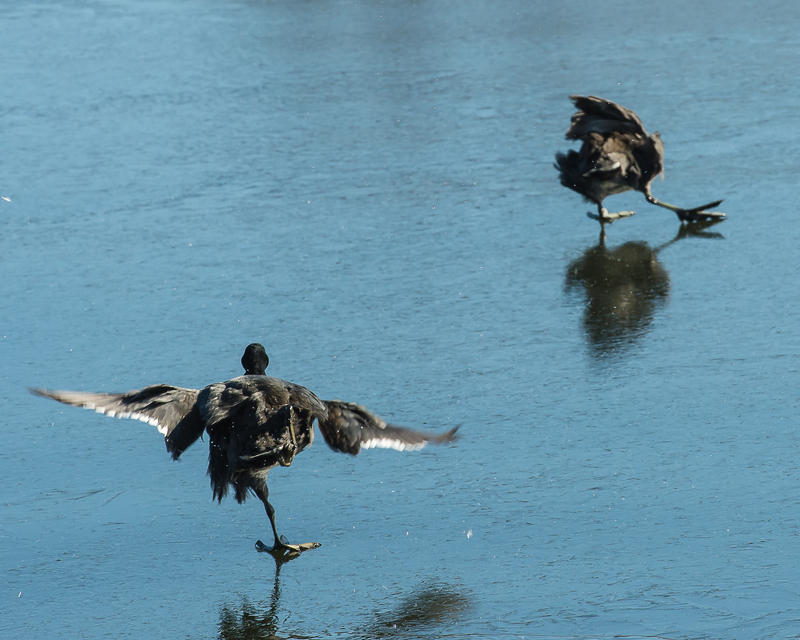 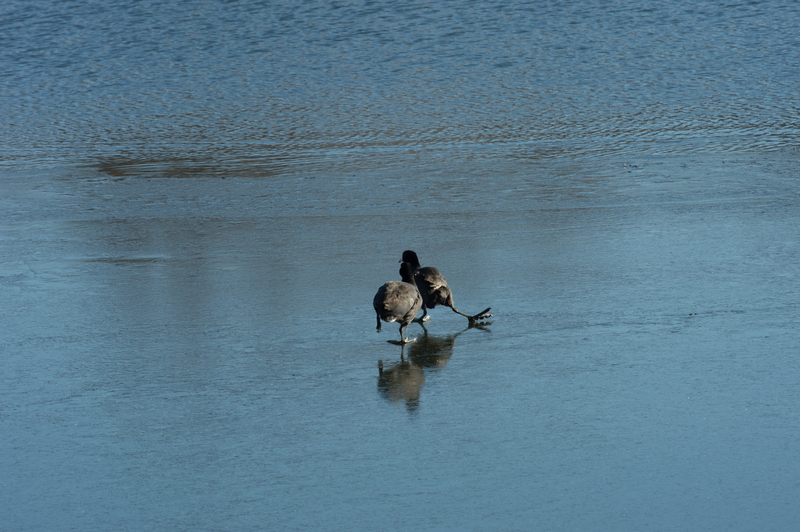 Coots on Ice. 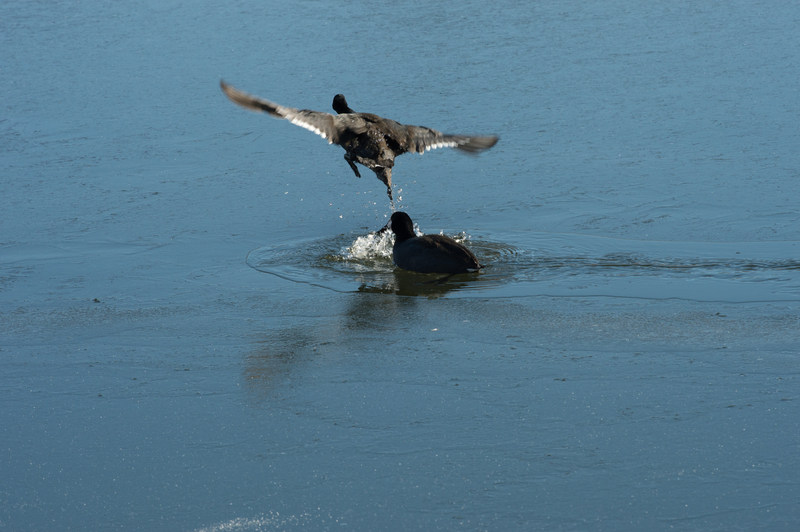 Totally unedited. 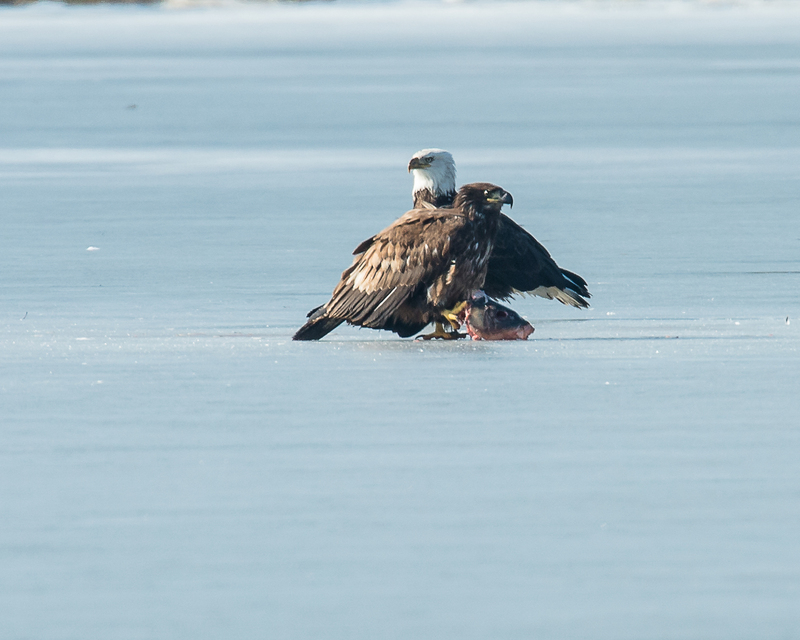 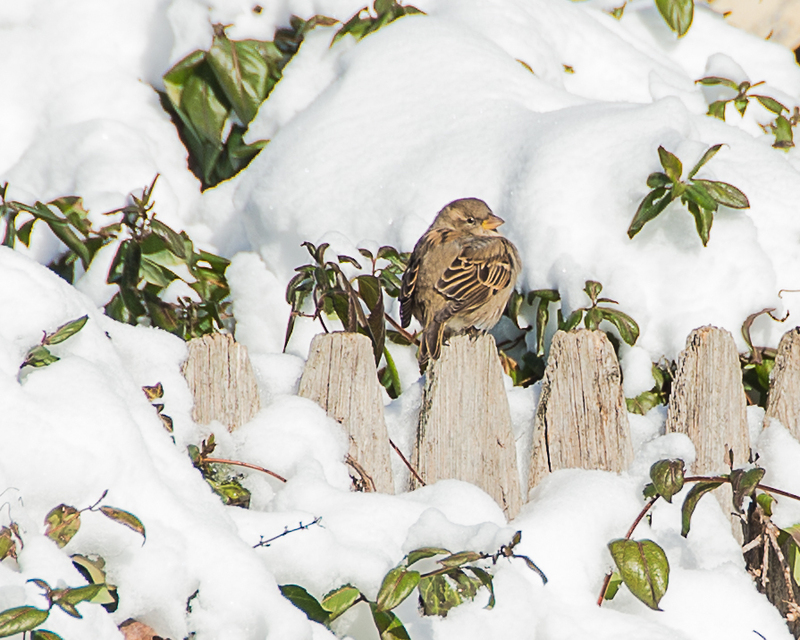 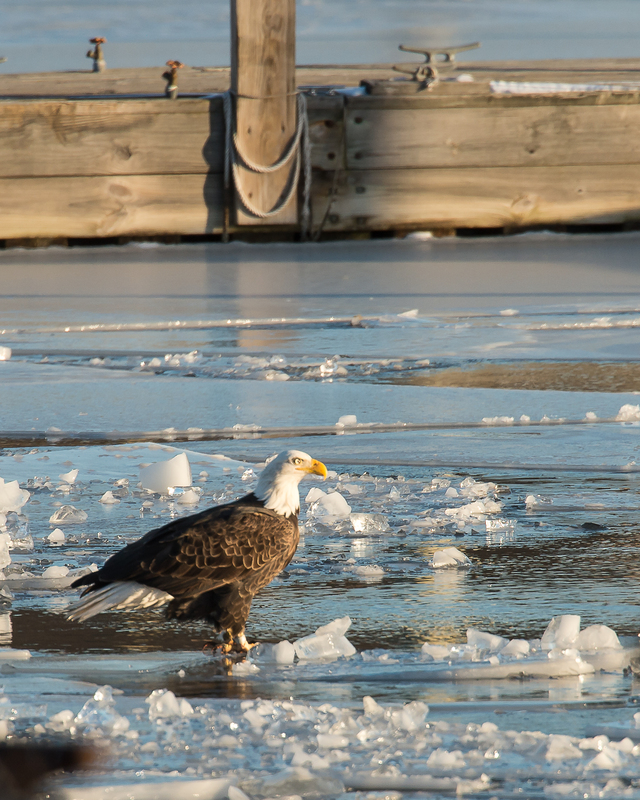 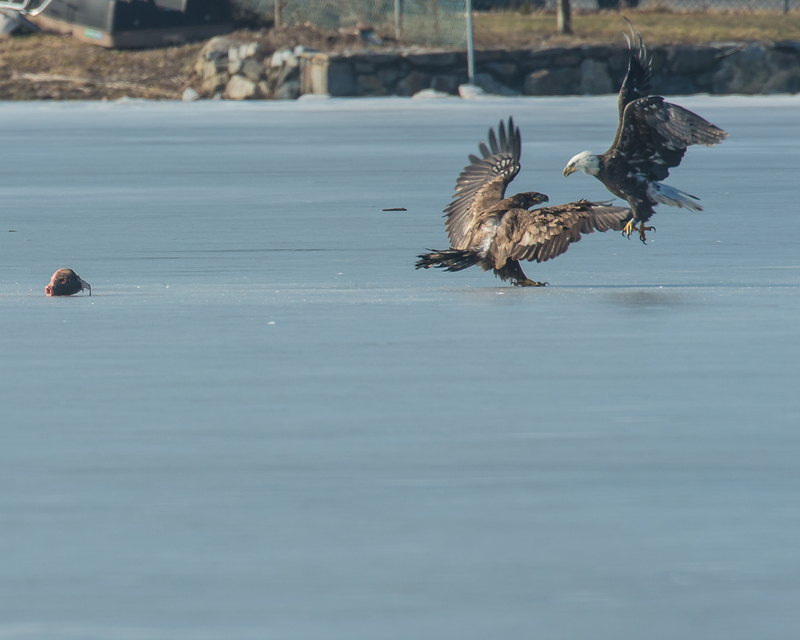 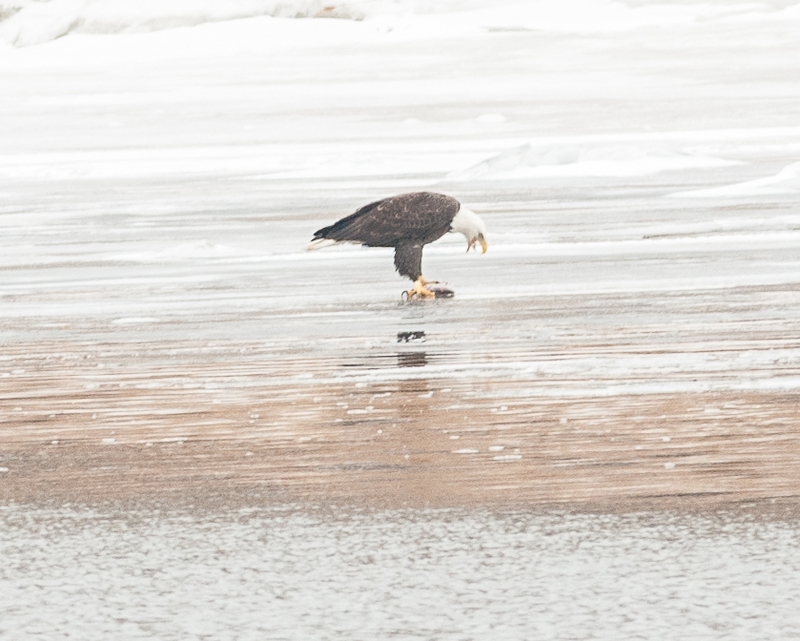 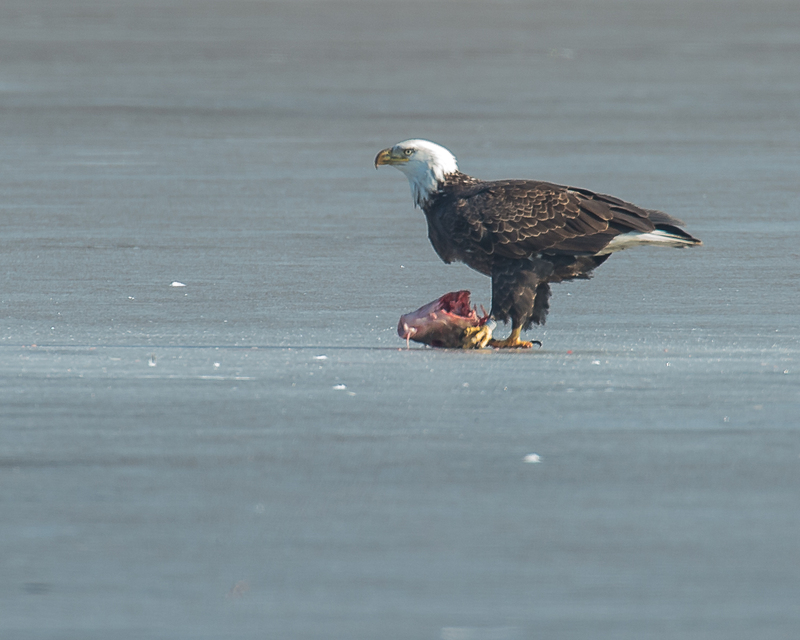 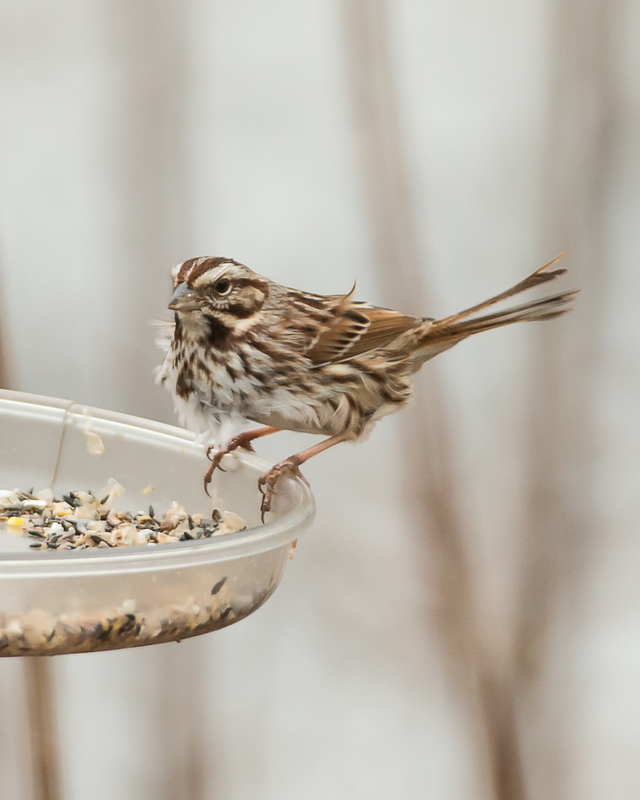 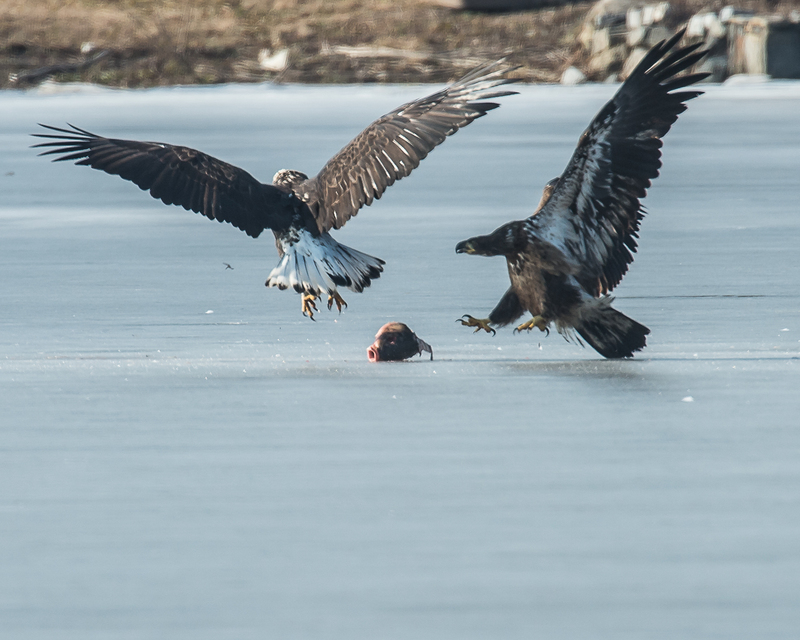 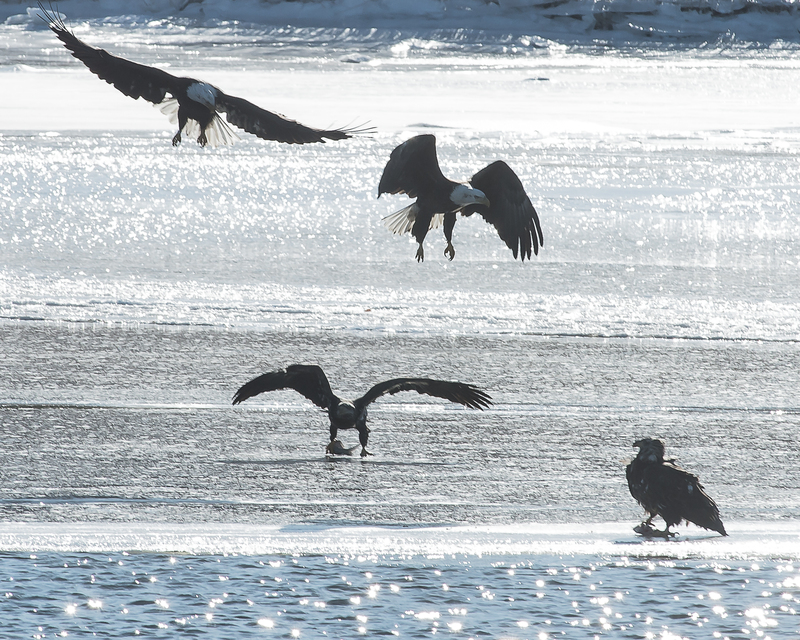 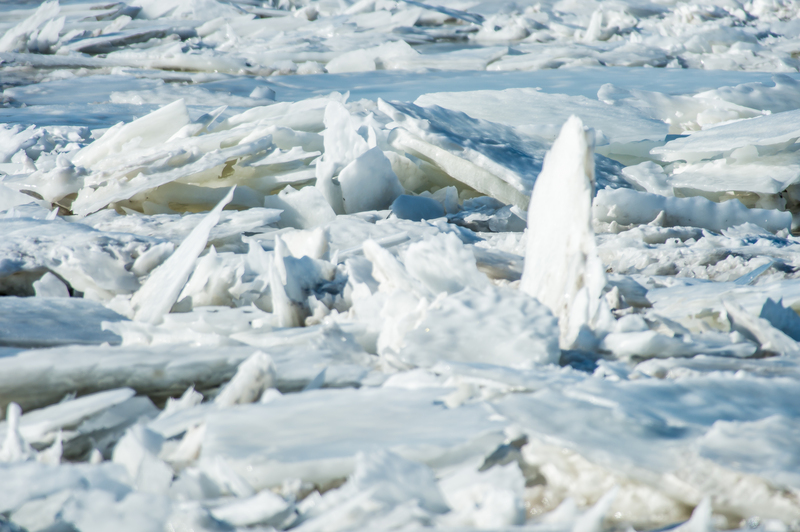 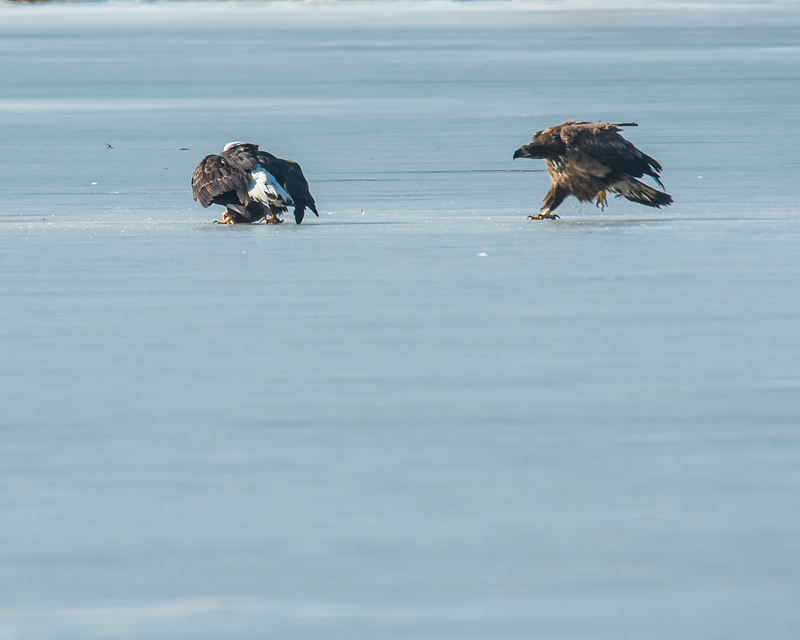 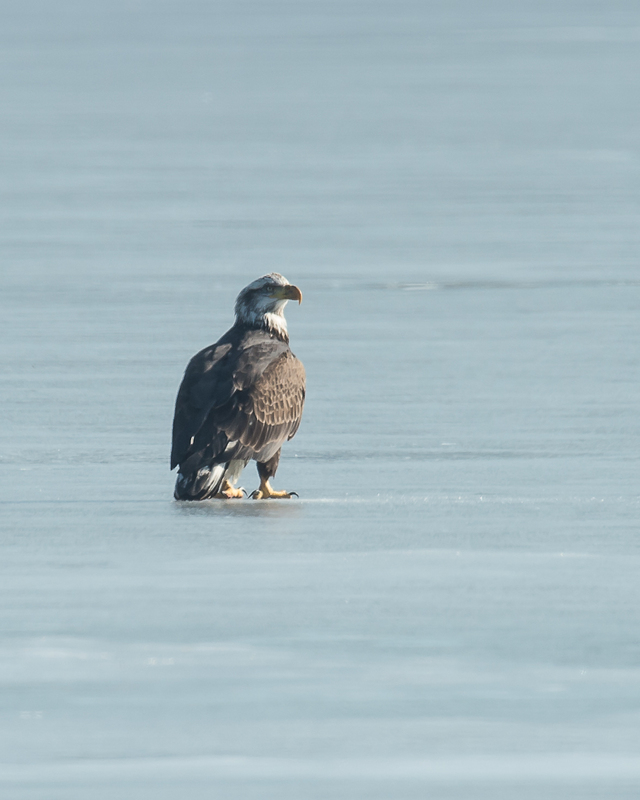 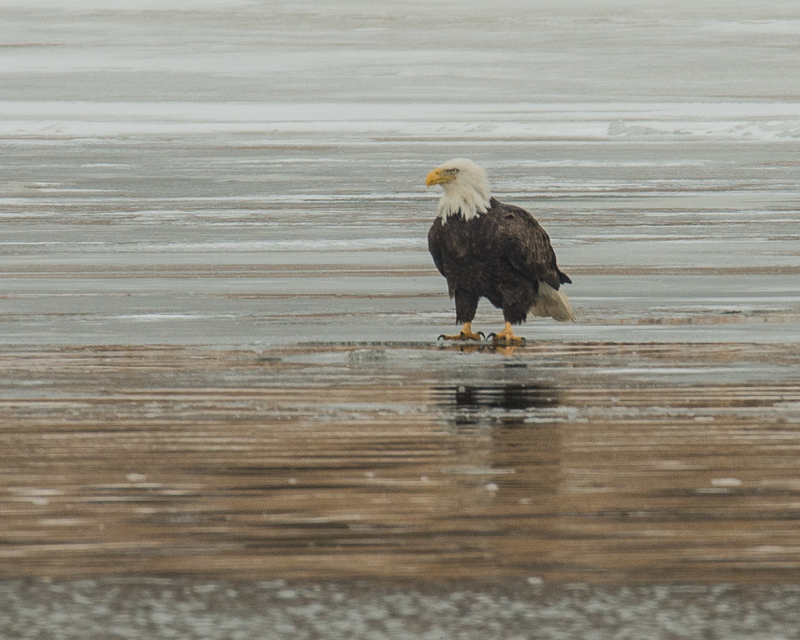 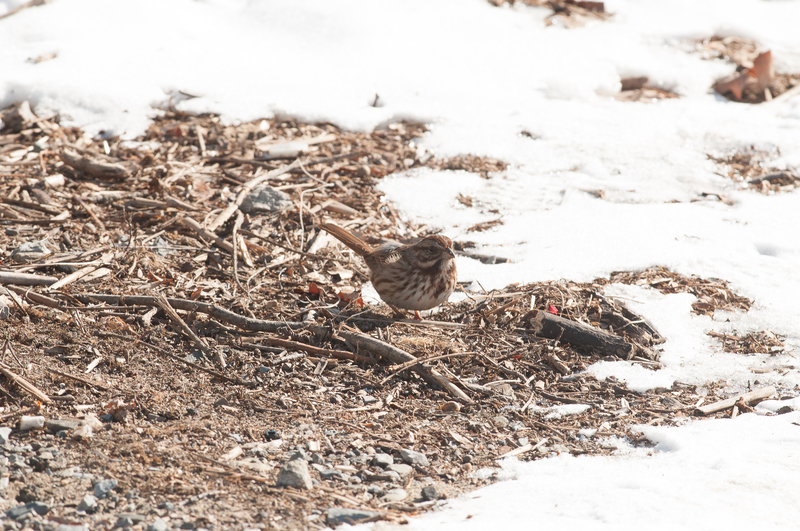 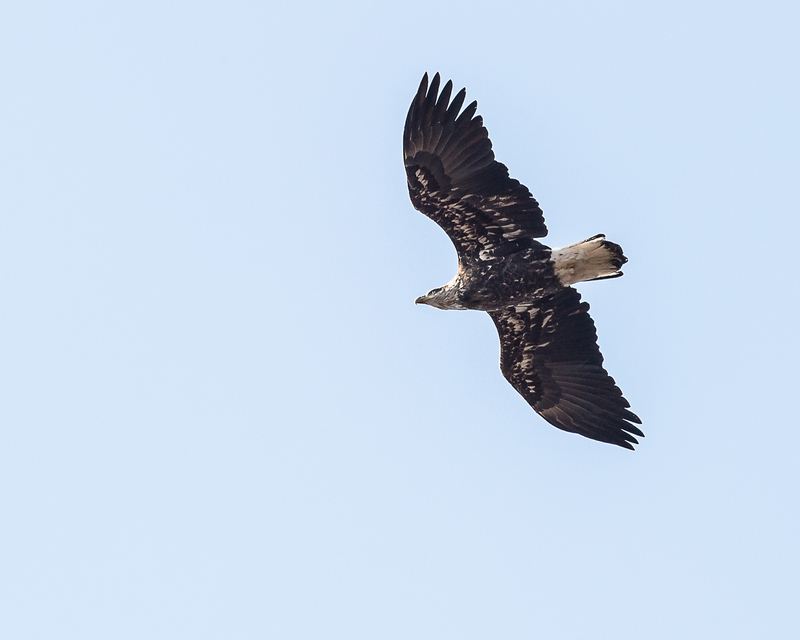 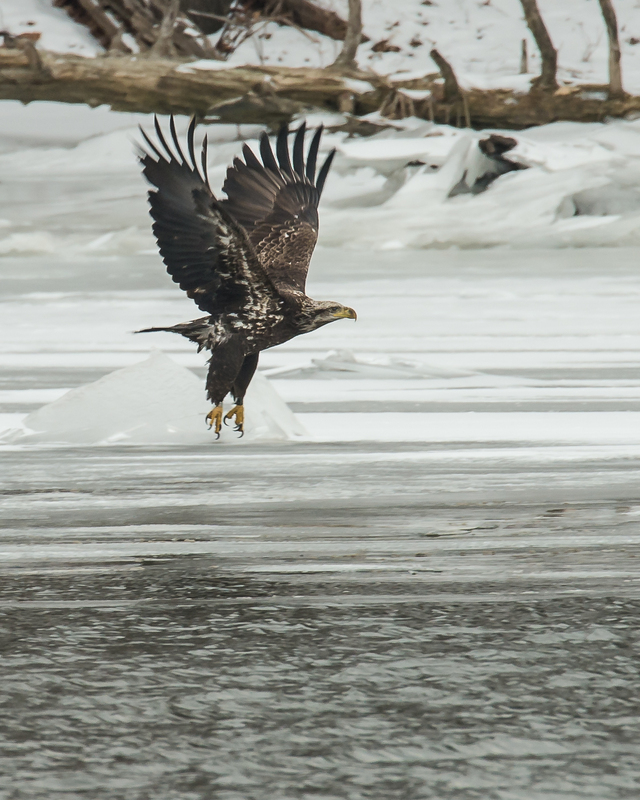 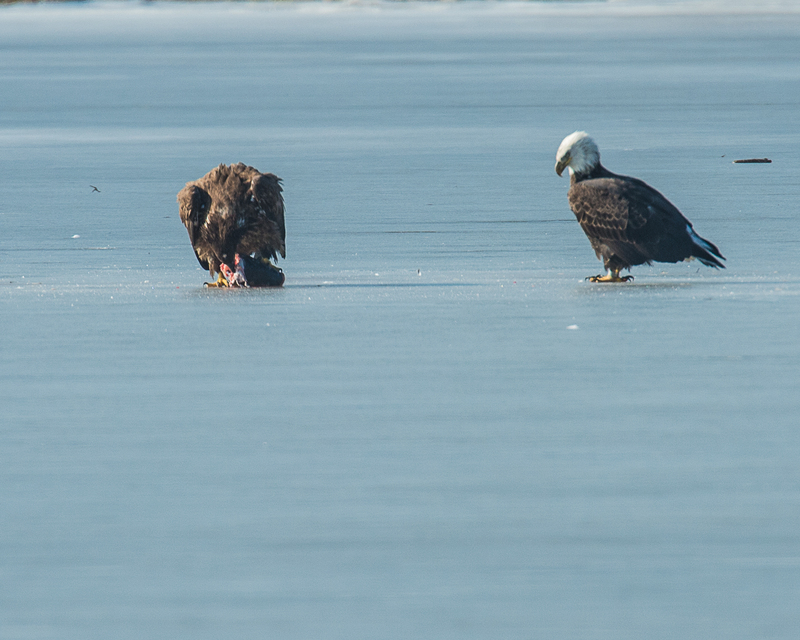 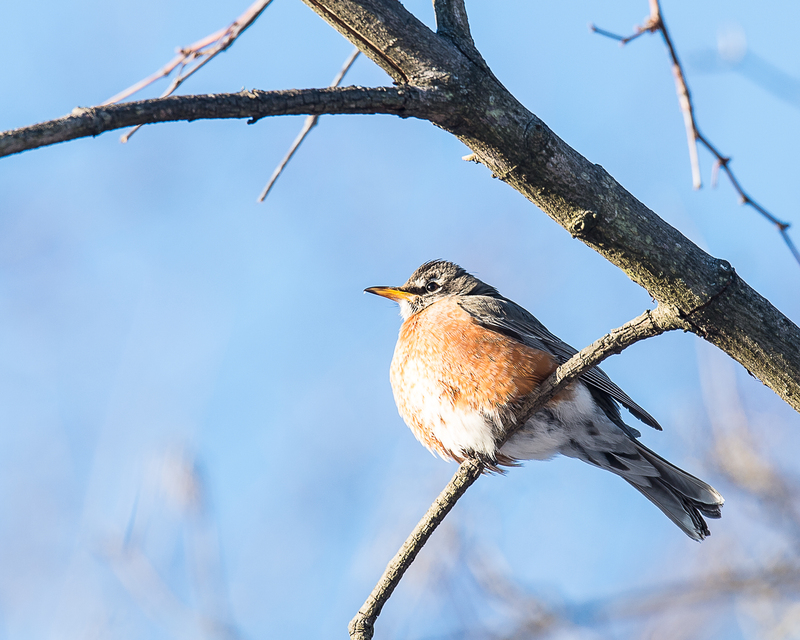 As soon as the crushing ice formed on the Hudson River and the rivers to the north, east, west and south, our migrant eagles joined us at the Croton Point Nature Center. 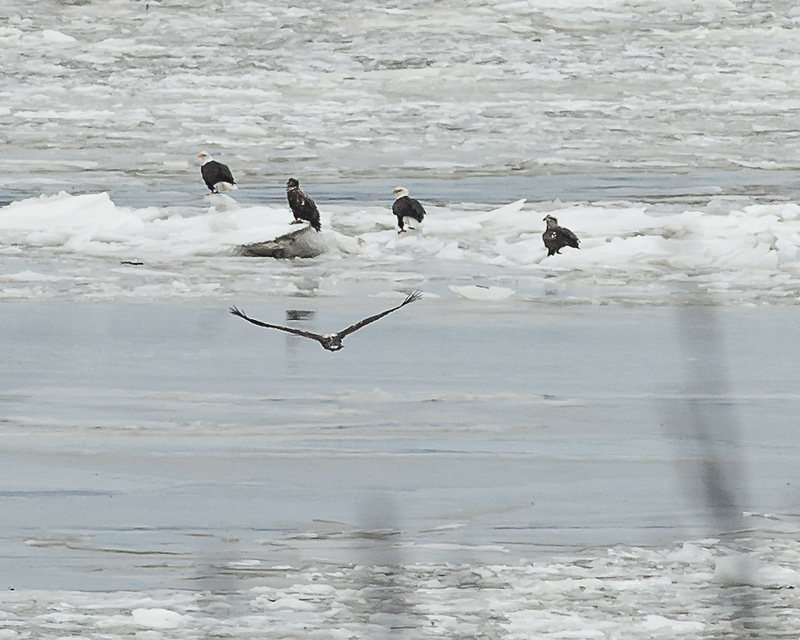 Eagle watchers reported up to 44 eagles on the river. 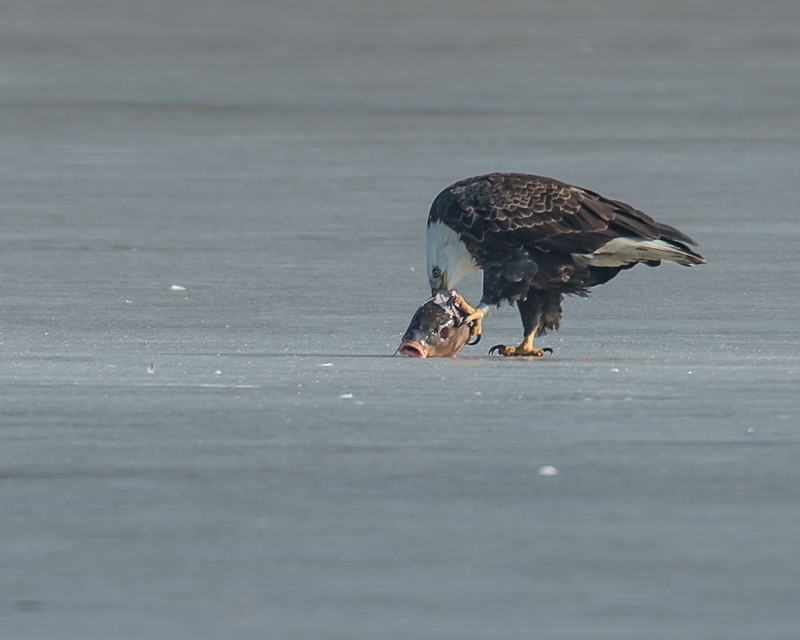 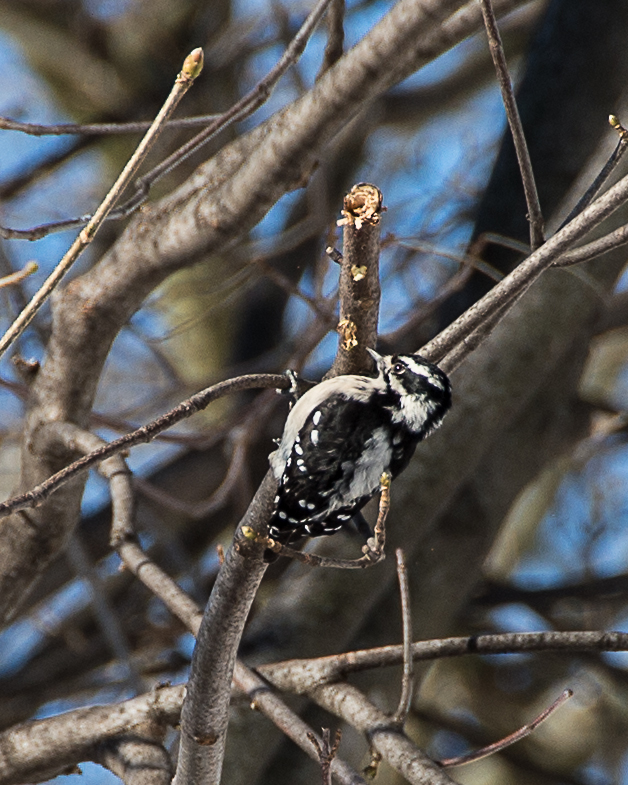 The prey this one had was pinkish. 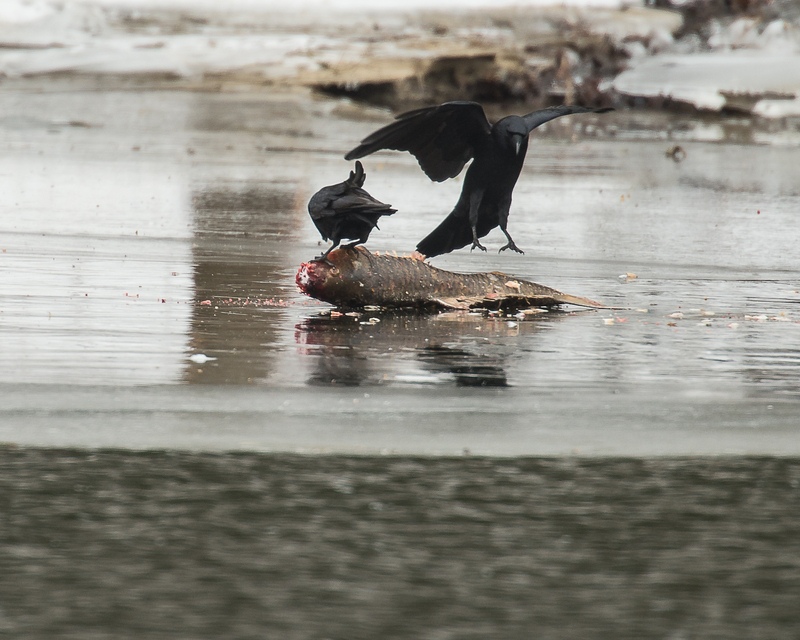 Couldn’t tell if it was a fish or something else. 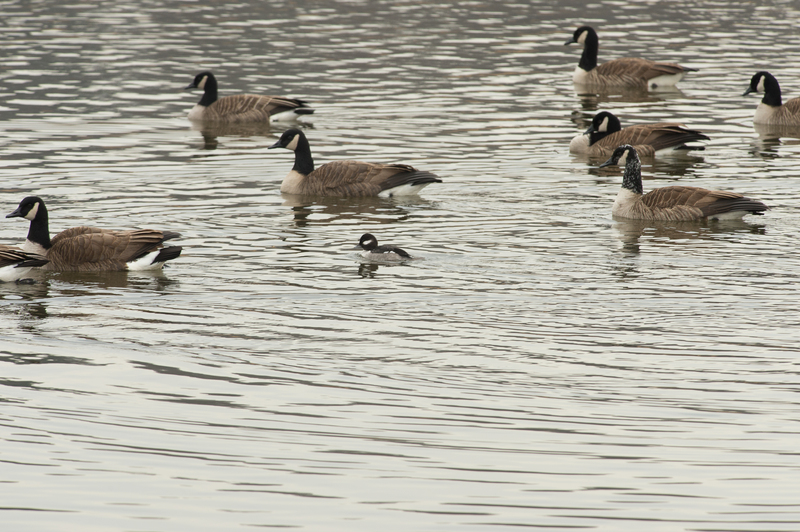 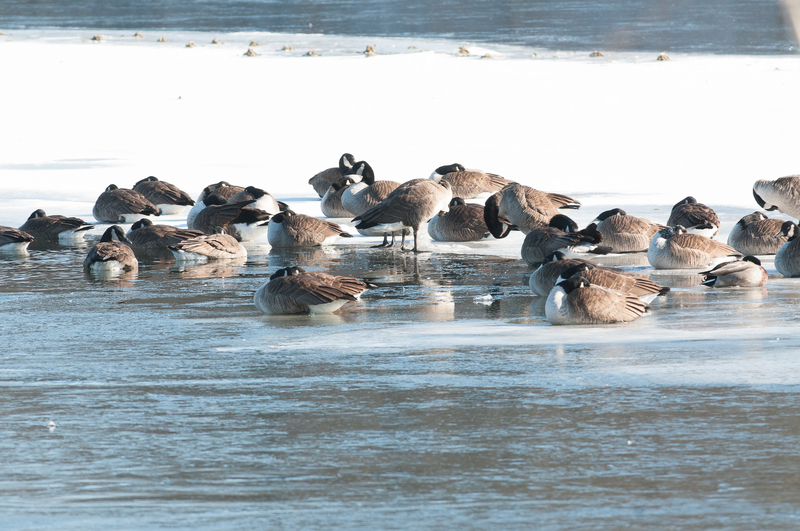 Croton River had a Canada goose with an interesting neck. 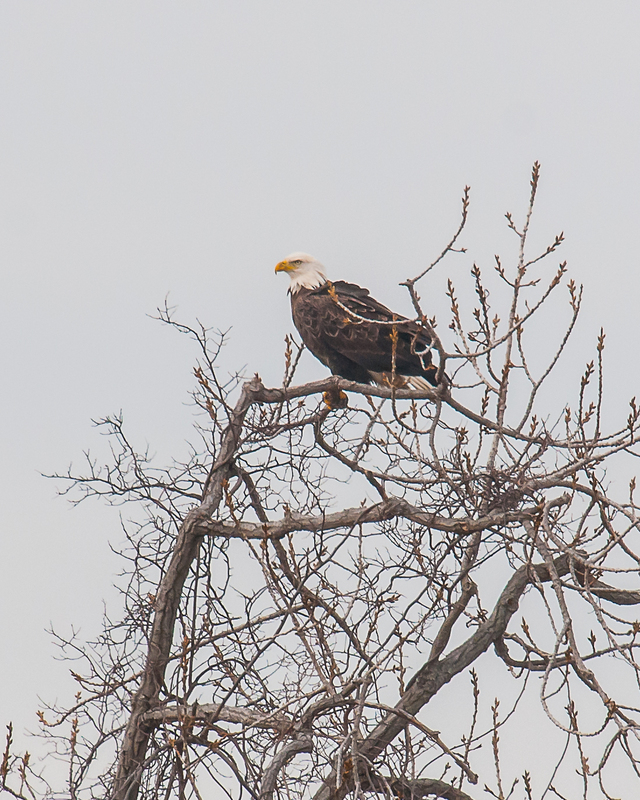 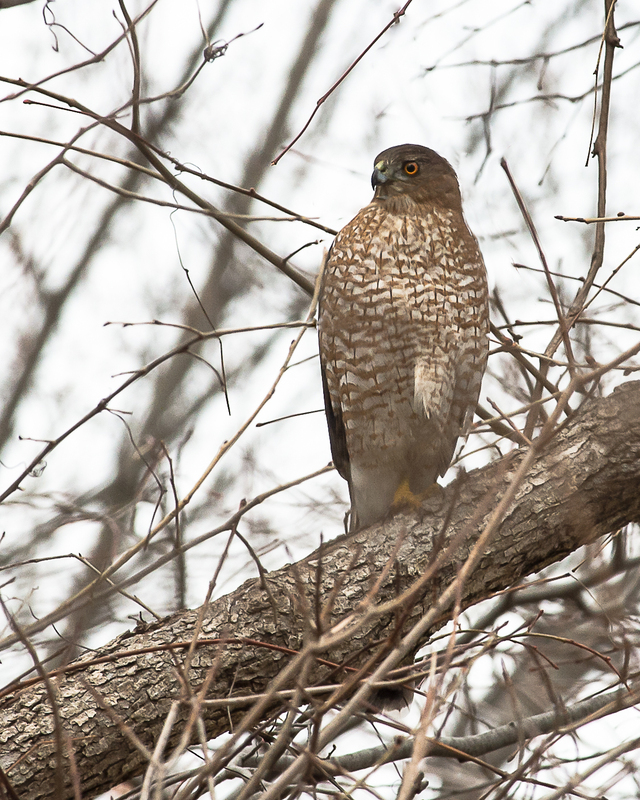 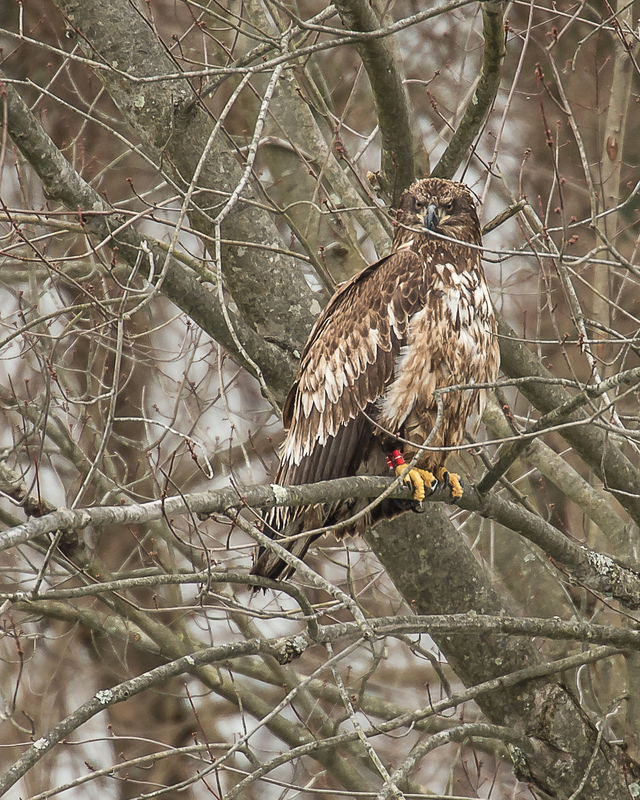 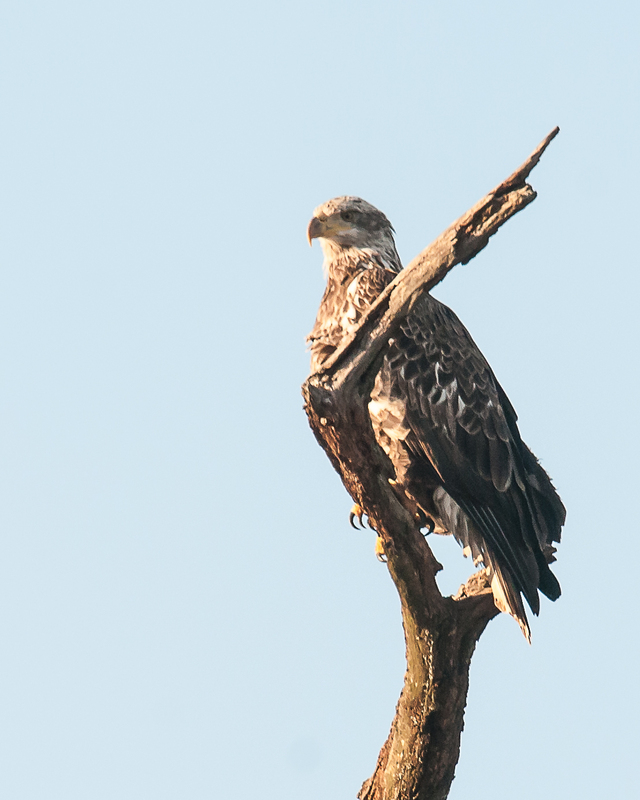 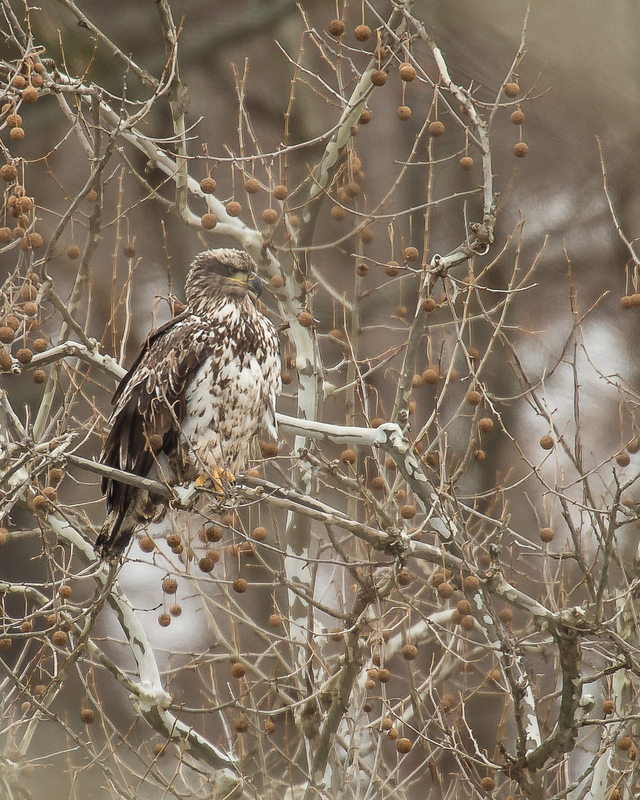 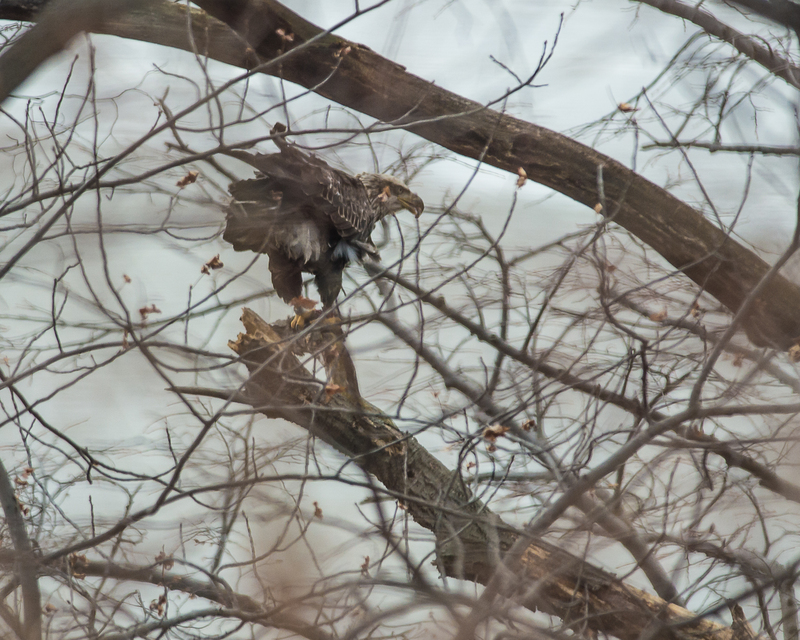 Four or more eagles were perched on the tree on the island in between Cortlandt Yacht Club (private) and Viking Marina. 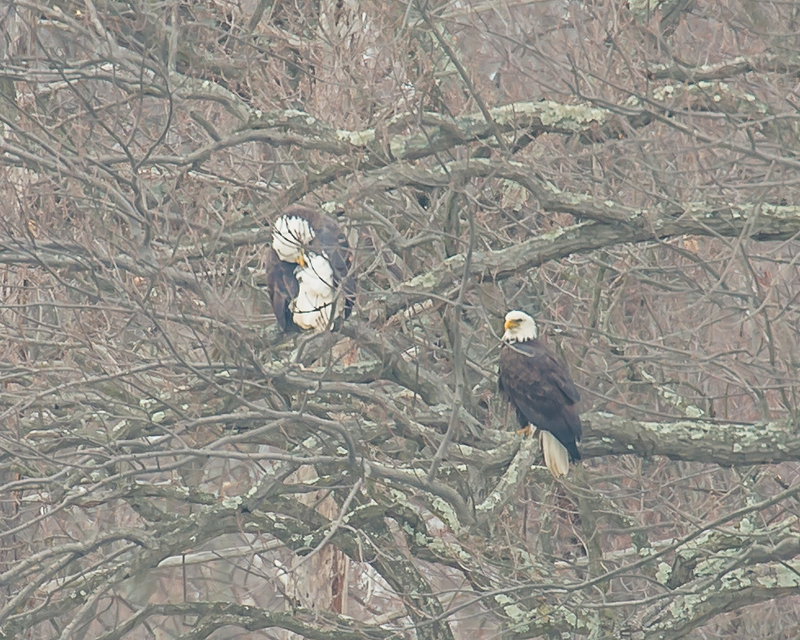 Six eagles, three adults and three immatures, perched on their tree above the train tunnel at Oscawana Island, visible from Furnace Dock Road. 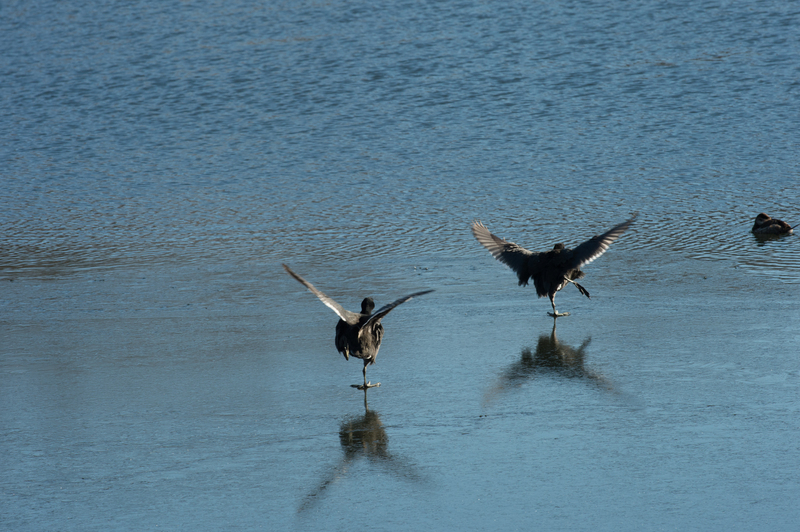 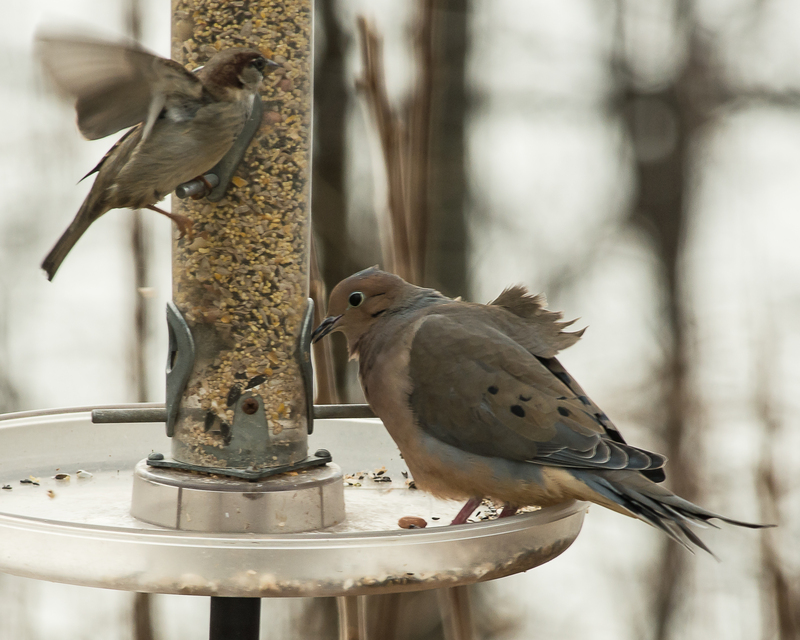 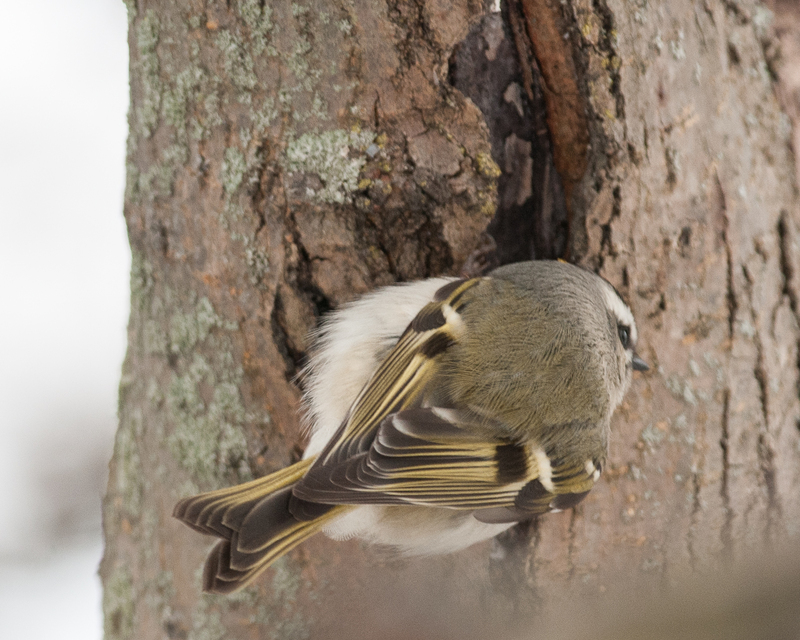 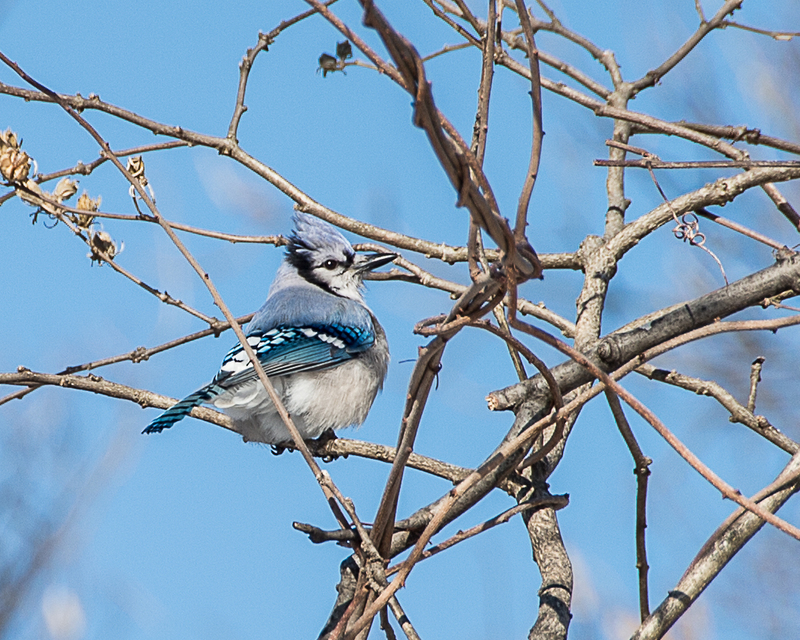 They flew off and around, but someone had my parking spot.